The hubbub of activity in the home is the kitchen, so when you get ready to repaint the go-to room in your home make sure to choose paint colors that reflect what a warm and wonderful space it is to break bread and gather with family and friends. Did you know that some of the ever-popular kitchen paint colors include warm neutrals such as deep reds, gold, and brown, all which are proven to evoke a feeling of warmth and hunger? On the other end of the spectrum, however, the top 2015 paint colors are predicted to be bright and vibrant blues for an eclectic design, or more muted pink pastels for a simple, yet elegant look. There are many color options for the kitchen, but the choices ultimately depend on the size of the room and the style of your furniture, kitchen appliances, cabinetry and even the table, island or breakfast bar where everyone gathers to eat. 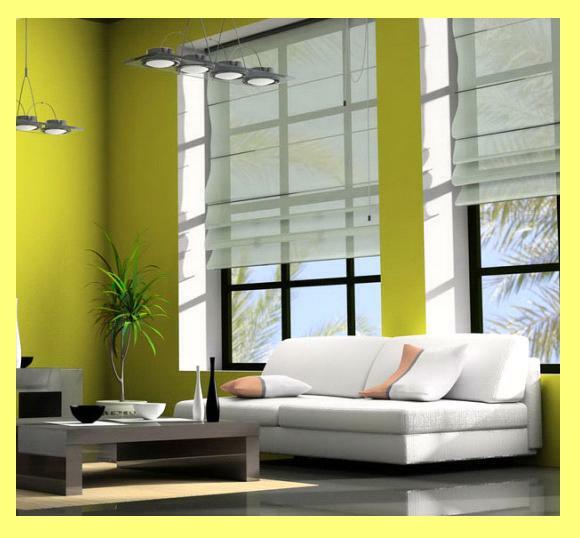 Others like the ambiance of a sunny kitchen – many windows and a bright yellow wall color which conveys happiness, hearth and home. Still others want a sleek and streamlined kitchen… lots of Lucite, open shelving and stainless steel counters, sink, fridge and stove. Well, sunny yellow is not going to work in that ultra-modern scenario, so, instead opt for shades of gray with vibrant accent colors like bright red. Many people choose neutrals colors as it is easier to coordinate furniture and accessories. While white is a popular neutral color, gray, once again this year, surpasses that safe perpetual choice of white. Don’t overlook white though – it can be kicky and fun when it is bright white, and the color off-white, tinged with pale yellow tones, becomes a great vintage look. Dark grays work well in a large kitchen, because in a smaller setting all those dark tones will create a cocooning effect. Medium gray with accent colors will give depth to the room and not overwhelm it in the least, and if you’re looking to soften bright colors, use a warm putty gray which pairs nicely with weathered wood finishes… think silvery gray wood here. If your kitchen is medium-sized or larger, you can opt for a darker gray décor. Even dark-hued shades like navy, tan and/or brown will match any color scheme, and, if it is a high-traffic area, or you have kids or pets, the darker tones will hide scuffs, stains, spills, and, even handprints (and nose prints) nicely. Since gray is a great neutral, and now tops cream in popularity, you’ll find the trending, and albeit unusual color combos for the larger-sized kitchen are charcoal gray paired with fire-engine red. Another dark trending color pair would be chocolate brown paired with sunny yellow or even pale blue. These rather unexpected color combos give add pizzazz and the accent colors keep the primary/darker colors from overwhelming the kitchen, and are a breeze to match accessories, allowing you to pull together a look that harmonizes perfectly. If you have a small kitchen, you’ll want to open up the area and make it look larger and more inviting. So, the best choice for paint color is neutral tones, like those found in the cream or beige palette, for the walls and cabinets. 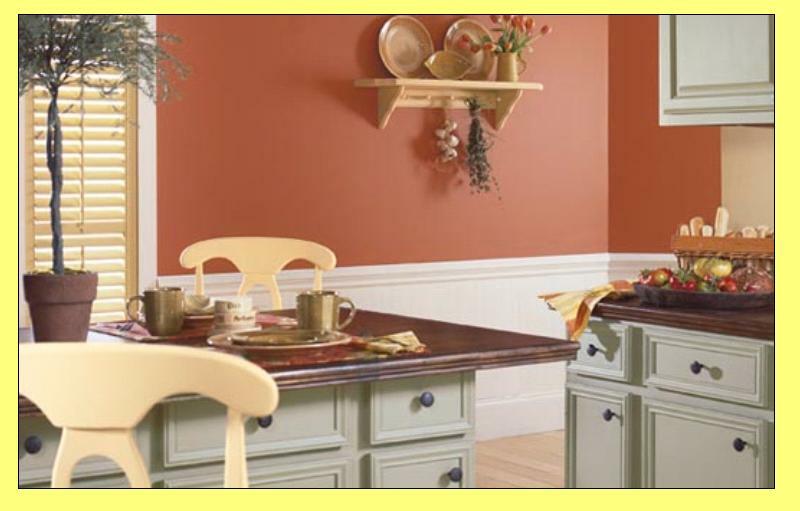 These colors will brighten up the kitchen area considerably. You might even consider the trending shade of pinky, grayish-beige known as greige which is fast becoming an all-purpose color and is mentioned in detail below. But, what if you’re just interested in revitalizing your kitchen without going too crazy with color, but with enough of a change, to add a level of intrigue? Friends and neighbors will know something looks different when you paint your kitchen with some of the most-popular paint colors listed below. Yellow remains the perennial favorite for kitchens, most likely because your parents and grandparents had the same color scheme and it just feels right in your home too. Though Wedgewood blue and white is a striking combo and lends an air of elegance to the kitchen, not everyone is comfortable with the darkish hues, so homeowners tend to fall back to their color comfort level by just staying with pastels like pale green or pale blue. Light green is considered a timeless look for the kitchen, with trim in ecru and the modern kitchen with its island, painted in the same color scheme, will give an aura of warmth and congeniality. As mentioned above, another of the most-popular colors this year is greige, which is a grayish-beige color with rosy undertones. This neutral shade will match any existing kitchen décor and is a light enough hue, that trim and cabinets can be painted the same color, with no complementary contrast tones needed. Greige is perfect if you want to go a little edgy, but not over the top, if straying from your usual color picks, yet permits you to keep your current décor intact. If you’re leaning toward a neutral shade for your walls, like the palest gray, or ecru or even parchment perhaps, you can still have pizzazz in the kitchen via the creative and artful placement of accessories. The color tan harmonizes beautifully with most furniture and does not fall flat or look blah – instead it conveys an air of sophistication.